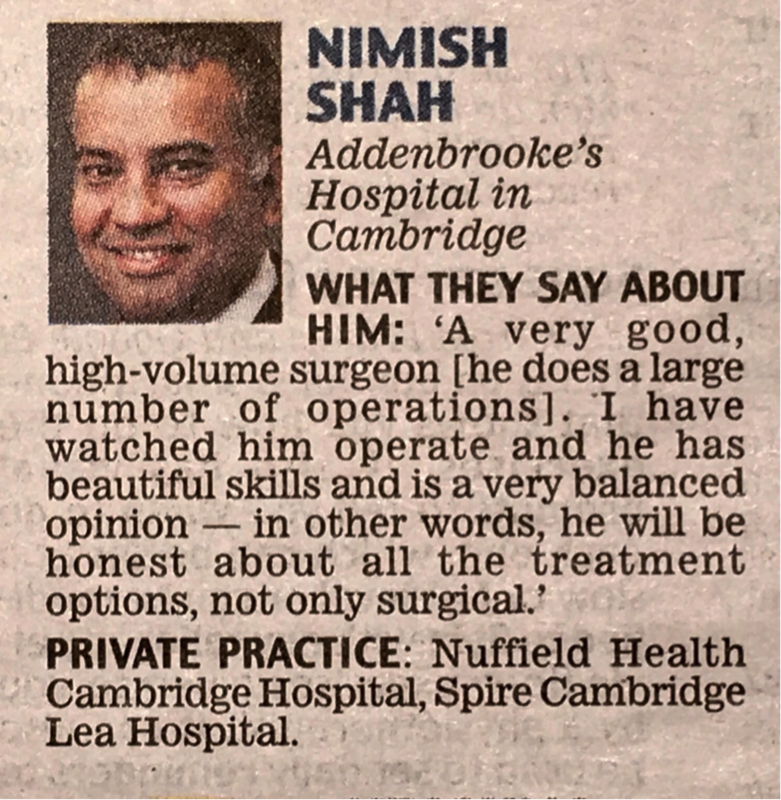 Nimish Shah, is recognised by his colleagues in the Daily Mail, for his expertise in undertaking prostate cancer robotic surgery. 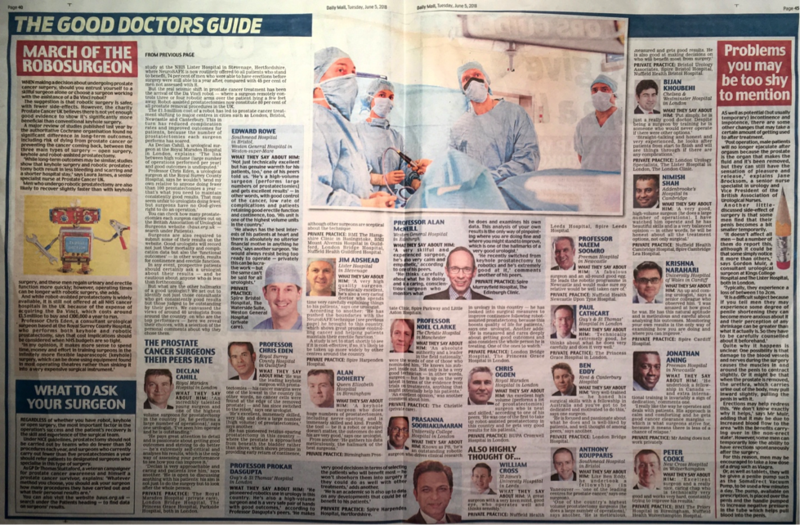 “A very good, high-volume surgeon. I have watched him operate and he has beautiful skills and is a very balanced opinion”.